We Love Face Painting! is gearing up for the Quality Pharmacy Christmas event in Keilor Downs on December 20 and 21, 2012. We Love Face Painting! offers its services at corporate events, family fun days, movie day events, store openings and children’s birthday parties. They specialize in temporary tattoos, adult face painting, Halloween face painting and face painting to keep the kids entertained at any function. Those who want to learn more about this fun company and its services can visit their website at http://www.welovefacepainting.com.au or call Shelley at 0400 042 612. ABOUT WE LOVE FACE PAINTING! We Love Face Painting! is based in Melbourne, Victoria. The firm was established by Shelley Bledsoe in 2007. Shelley has a background in Makeup Artistry so face painting was a natural progression for her and she loves doing it! The We Love Face Painting team thoroughly loves what they do and prides themselves on their reliability, and quality work. 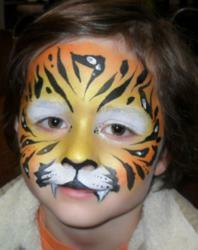 The company’s face painting designs range from popular full face to cheek art.